Day 14 of "30 Days of Me"
LOL! 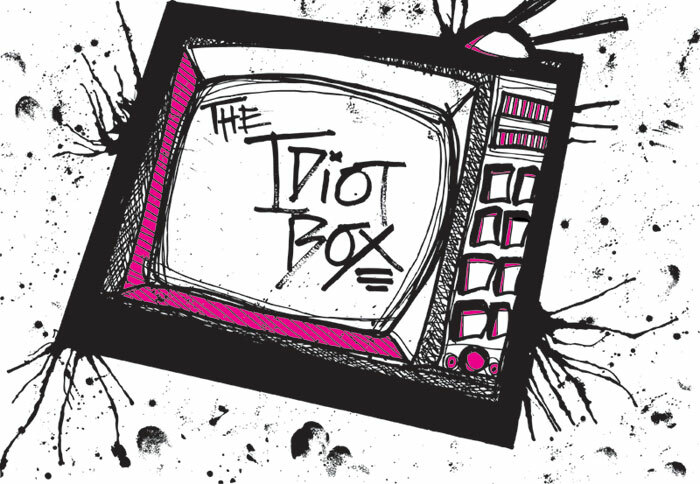 I'm definitely NOT *addicted* to anything on the idiot-box! But the two shows that I usually follow are Sa Re Ga Ma Pa and Dance India Dance... both the senior and junior versions of these shows. Currently, Sa Re Ga Ma Pa Li'l Champs is going on, but strangely, this time it doesn't impress me much. The set is not of the usual Zee TV standard, neither are the singers. And the judges are also just too non-dynamic. Overall, a very boring and non-charismatic presentation. Today's topic specifically mentions "currently". So, in keeping with the "Honest Scrap" Award that I received long time back on this blog, I'll just have to end this post here, as there is not a single TV show being aired these days that I even follow regularly, forget about being addicted to! This is my 14th post for NaBloPoMo September 2011.